With show season just around the corner, like most of you, I’ll be changing gears as soon as the weather gets warmer than 40 degrees. 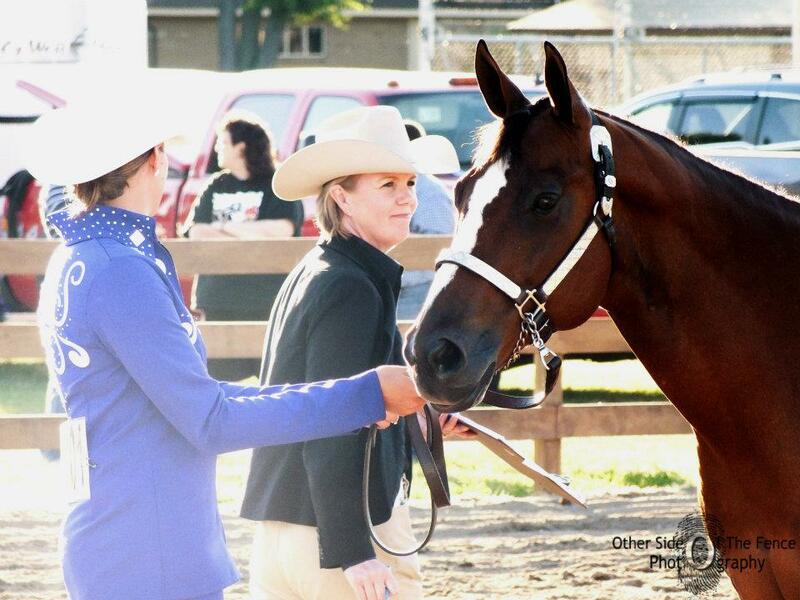 For most of my life the “gear change” was to get back into the show ring, and in that regard, not much has changed. The last several years, however, I have been showing my horses less and less, and judging more and more. Over the years, I have been blessed with some nice horses, and some great trainers, but I can honestly say that judging was the “missing link” in my horse show education, if you will. I never really knew what showing horses was about until I started judging…and in light of that, and in honor of show season, I’m going to share what I have found to be (my) top five myths of horse show judging, in no particular order. Others probably have their own list (and are free to start their own blog). 1. If you win, it means the judge really “likes” you and your horse. Sometimes. But not always. Occasionally when you win, you were the best of what was out there, so don’t let it go to your head. Actually, you’d be better served to develop the ability to self evaluate your own performance and decide how happy to are with it. It’s better for everyone. And sometimes you get to see horses and riders that take your breath away. Those are the best days. 2. Judging is just “someone’s $5 opinion”. Sometimes. But not really. There are specifications to each class and carded judges spend a lot of time learning those specs, honing their craft, and developing a system whereby they can make decisions fast enough for everyone to get through 150 classes by 6:00 pm. There may be some opinion involved in separating close pairs, but usually that opinion is based on class specifications and not much else. 3. Judging is really easy. If you’ve shown, you can do it. 4. Judges don’t understand what it is like to be an exhibitor, show a Morgan, etc..
That would be tough. I don’t know any judges who have never shown a horse. Now, I will admit that some open horse show judges may have classes or breeds that they are more well versed in than others, based on their background. I would get extremely frustrated, for example, when an older gentleman who probably hadn’t done a great showmanship pattern…well, maybe ever, didn’t appreciate the obvious skill of my superhorse and I. But eventually I figured out that said gentleman probably had more years working with and evaluating western horses, or cow horses, or Morgans, than I’d ever dreamed of. So when I became a judge, I told myself that I’d be a judge that truly appreciated showmanship and pattern classes, and the effort that goes into them. Because I’ve been there. I also told myself that I’d be a judge who learned to appreciate a great horse regardless of breed, color, or discipline. I think most judges try to do the same. I want to see those horses that take my breath away…and those riders who obviously love what they are doing…just like I do when I show. I mad copies and sent them to my students/families that are actively showing. Very nice Karen! I think a lot of riders and leaders need to seriously consider what you have written here. I have always felt sorry for judges who have to stand out there all day and into the evening with little to no potty breaks and the extreme heat/cold/wind/rain. Sometimes on their feet all day wearing hot, uncomfortable jackets and boots. I think as an exhibitor we need to show respect to our judges as well as fellow exhibitors. As a 4-H leader for 16 years just on Monday nights for a few hours, I’d be hot, tired and had swallowed enough dirt to last me a lifetime, but judges do it for 8 to 10 hours or more! Very nice and so on target. You hit all the common myths every exhibitor and parent thinks when they are on the other side. I will be sharing this with my Equestrian Team members. It is invaluable advice and helps them see the other side so, perhaps, they might get a better understanding; you help to put them in your shoes. Thank you! I was a 4-H adviser and heard so many parents comment that the judge only picked certain riders because of the “Pretty clothes they had on”. It was quite clear that those riders worked very hard, had clean horses and was neat and clean. I had a judge announce that she does not pick winners because of their clothes. She told everyone at the show that that is the last thing she looks at if at all. It would be helpful if you can blog about this as well. Awesome article. As a former student of Karen’s, she has always been a great leader, educator and coach!